New to the West Chicago area? Our friendly staff is always glad to answer questions for people relocating to Illinois and to help make your storage experience efficient and hassle-free. Whether you are looking for a little space or a lot, we have a wide variety of storage units to choose from, so there's sure to be one to meet your home or business storage needs. We offer climate-controlled units with options for indoor or drive-up access. From 5X5 units that offer affordable storage rates to large drive-up 10X25 and 10X35 units, you can find a perfectly sized storage unit and storage prices at Metro Self Storage. Businesses will find that our large storage units are a great commercial storage solution without the costs and hassles associated with relocating. Are you storing valuable items such as electronics, artwork, photos, or antiques? If so, climate-controlled storage units are the right choice because they offer additional protection from humidity and heat as well as pests and dust. 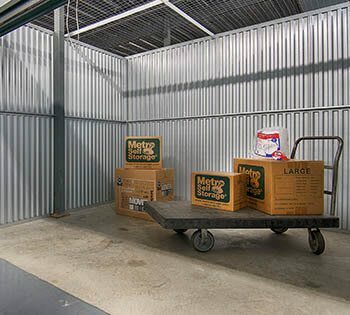 Metro Self Storage in the City of West Chicago offers a first-class climate-controlled business storage solution for all types of businesses. Affordable storage lockers are ideal for business records storage, computers, electronics, and other temperature-sensitive items.Large commercial units comes with options for drive-in or drive-up access. 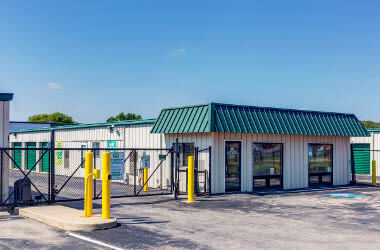 Our West Chicago commercial storage facility features a wide selection of climate-controlled units with drive-up access. We make it easy to move in with Metro, and we invite you to drop by anytime to preview our clean, secure facility for your business storage solution. Business Storage: Files and documents, pharmaceutical samples, and other types of temperature-sensitive inventory. Collectibles: Antiques, artwork, and restored classic cars. Electronics: Computers, audio and video equipment. Personal Items: Family heirlooms, historical archives, and photos. Sensitive Materials: Wood, mirrors, leather upholstery, and plastics. Our City of West Chicago storage team is happy to answer your questions and help you determine if your items belong in climate-controlled storage.